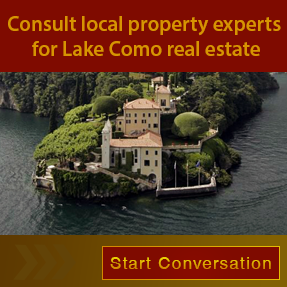 Do you know what attract people to buy Property in Lake Como? Not just the regular investors but celebrities like George Clooney too keep this place on the top of holiday destination list. So it’s not much unbelievable that the place has got some incredible attractions that can leave any one stunned. There are lots of other things like easy going lifestyle, scenic views and easy accessibility that make people think of settling down in the valley forever. 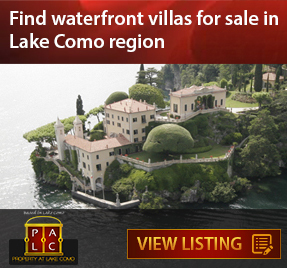 If you are also among them, then this post may convince your thought to relocate & may put you on hunt for local real estate agents in Lake Como region by the end of it. 1. Although you have to follow few rules to buy a new villa or house in Lake Como but convenience is one of the key factors that would make you happy after occupying a property. Lake Como has the ease of three international airports at a driving distance of 40 to 60 minutes. 2. It takes just 60-90 minutes of flight journey to reach UK, Belgium, Holland and Germany. 3. Easy train & road connectivity with other places makes the stay even more contented. 4. Good choices of international schools in reachable location is a plus point to dwell here. 5. You can get best health care facilities which are usually rare to find in a small town or suburb. WHO has kept it at no. 2 in its list for good health care conditions. 6. Its nearness to ski resorts is the best selling point highlighted by most of the local real estate agents in Italy. 7. As per recent data, investors have reported to receive 25% returns on property investments. – In case the purchase is done with a private owner the registration tax is 3% for the main residence, 9% for non-residents & secondary residence (20% for luxury). These values are calculated on the cadastral value of the property that is always lower than the market price. – In case the purchase is done with a company as a builder of a new construction site at the Notary deed the buyer has to pay VAT on the market price (the price agreed with the seller) and this is 4% as a first residence home or 10% if the property is a secondary residence. With the word residence is meant “fiscal residence”. The property rates have shown significant high due to the recent developments in Lake Como whether that relate to George Clooney’s’ Villa Oleandra or films like Star Wars, James Bond, Oceans being shot here. Also the graph of rental income has gone up in last few years due to growth in tourism. So, this seems to be the right time for you to buy new property in Lake Como, in case you have been thinking for long. Contact local real estate professional if you want to know more about what kind of property to buy in Lake Como or how to evaluate the right cost & additional costs like taxes.